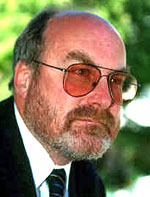 Dave Snowden has been one of the leading figures in the movement towards integration of humanistic approaches to knowledge management with appropriate technology and process design. Well known for his work on the role of narrative and sensemaking, he is an entertaining speaker and a formidable realist, and one of the few thought leaders who can bring together the academic and practitioner perspectives into a single, comprehensible purview. He is Founder & Chief Scientific Officer -Cognitive Edge (formerly the Cynefin Centre) which focuses on the development of the theory and practice of social complexity. The Cynefin Centre spun off from IBM in July 2005 to allow it greater freedom to explore new trans-disciplinary and participatory approaches to research and the creation of an open source approach to management consultancy. The Cynefin framework which lies at the heart of the approach has been recognized by several commentators as one of the first practical application of complexity theory to management science and builds on earlier pioneering work in Knowledge Management. A native of Wales, he was formerly a Director in the IBM Institute for Knowledge Management where he led programmes on complexity and narrative. He pioneered the use of narrative as a means of knowledge disclosure and cross-cultural understanding. He is a leading keynote speaker at major conferences around the world and is known for his iconoclastic style, pragmatic cynicism and extensive use of stories to communicate what would otherwise be difficult concepts. Tom Stewart, the new editor of Harvard Business Review in his latest book states in the context of tacit knowledge "Dave Snowden, the best thinker I've found on the subject ..." although by way of counter he also comments "he is Welsh and a bit mad". Dave Snowden has an MBA from Middlesex University and a BA in Philosophy from Lancaster University. He is adjunct Professor of Knowledge Management at the University of Canberra, an honorary fellow in knowledge management at the University of Warwick, Adjunct Professor at the Hong Kong Polytechnic University and MiNE Fellow at the Universita Cattolica Del Sacro Cuore in Italy. He teaches on various university programmes throughout the world. He regularly consults at the board level with some of the world's largest companies as well as to Government and NGOs and was recently appointed as an advisor on sense making to the Singaporean Ministry of Defence. In addition he sits on a number of advisory and other bodies including the British Standards Institute committee on standards for Knowledge Management. How Do We Make People Do Things? The best defintion of KM yet! A talk by Dr David Vaine on 4th generation knowledge management! A colossal Knowledge Management failure! Does willpower have its limits? What is the function of KM? True Eureka innovation is not going to happen by an internal training programme but from engagement in the real world. I have a passion for KM as one of the first disciplines that used properly puts people first and is itself a learning environment which should encourage diversity. That passion means that I will fight attempts to standardise or "certify" the discipline. We always know more than we can say, and we will always say more than we can write down. We only know what we know when we need to know it. Knowledge Management should be focused on real, tangible intractable problems not aspirational goals. It should deal pragmatically with the evolutionary possibilities of the present rather then seeking idealistic solutions. In the idealistic approach, the leaders of an organization set out an ideal future state that they wish to achieve, identify the gap between the ideal and their perception of the present, and seek to close it. This is common not only to process-based theory but also to practice that follows the general heading of the "learning organization". Naturalistic approaches, by contrast, seek to understand a sufficiency of the present in order to act to stimulate evolution of the system. Once such stimulation is made, monitoring of emergent patterns becomes a critical activity so that desired patterns can be supported and undesired patterns disrupted. The organization thus evolves to a future that was unknowable in advance, but is more contextually appropriate when discovered. The way we know is not the way we report what we know. True values are not taught and declared, they evolve through the acts and interaction of the living, they are understood at a near tacit level by those who live them. Knowledge can only be volunteered; it can never be conscripted. In the context of real need few people withhold knowledge.